As many of you will know, back in February I was lucky enough to attend the filming for the new BBC series of Top Gear. Like many of you reading this, I have been a fan of the show for years, with it often being the highlight on a Sunday. However last series failed to impress not only me, but millions of you. It was reported that the final episode from last year’s series, fronted by Radio DJ Chris Evans, saw viewing figures plummet to an average of 1.9 million – the lowest ratings the show has seen in its history. After rival motoring show The Grand Tour, put together by and fronted by original Top Gear members Jeremy Clarkson, James May and Richard Hammond, had finished its 13 episodes, adverts for the new series of the BBC show started to appear on television and online. Evans was out and it seemed like this could be the last opportunity to get tickets to filming. I scouted out LostInTV.com and requested two tickets to a filming day. Within two weeks of applying for tickets, I was at Dunsfold Park ready to head into the famous studio. Once arriving at the aerodrome, you are directed to parking and then wait for a series of buses to take you to the studio. Unfortunately for us it was raining and without shelter, resulted in the audience’s enthusiasm and clothes being dampened. It took nearly an hour of standing in this drizzle for someone to alert that rehearsals had run behind and that we should return to our cars for another half an hour. Apart from meeting like-minded individuals, the only positive to being stood in the rain was we could see a bright red car going around the track, this later to be revealed as actor James McAvoy who would appear as the special guest on the show. Finally boarded on a bus, we were driven to the studio which resulted in more waiting. Ponchos were being offered out in masses but shortly the queue dwindled as groups were being allowed into the warehouse where the studio was located. The first thing I saw approaching the studio was the purple hue from the indoor lighting, then strips of LED lights collecting into a circle around the room. Cars had been carefully placed around the studio, meters above the adoring audience who all took in this new modern studio. Funky lighting was being tested and then there were supercars scattered on the studio floor: damn. 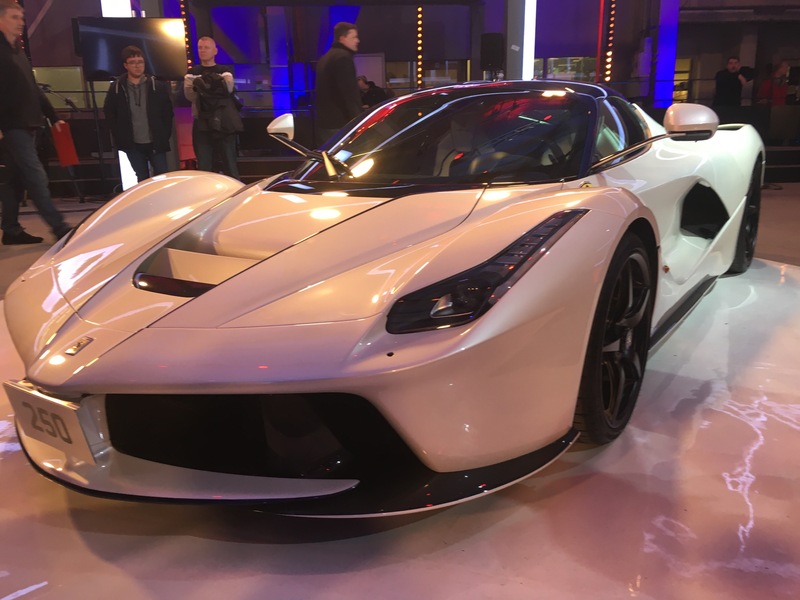 The LaFerrari drew a crowd in an instant, but that hardly came as a surprise. 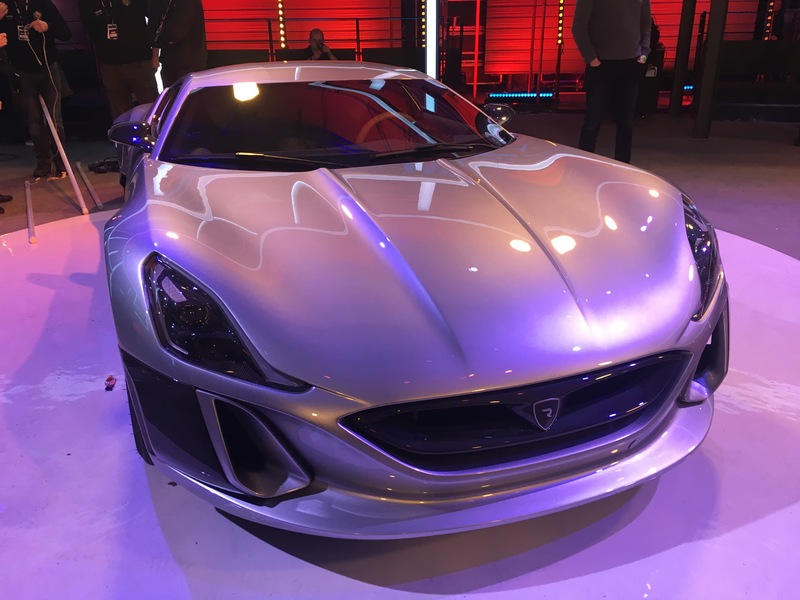 I decided to stand behind the other stunning supercar that was placed in the studio: the Rimac Concept One. This electric beauty grabbed my attention straight away and after being one of the first in, meant I could stand right behind and gaze at it for all of the show. What I didn’t think about was the fact being stood behind this incredible car would mean I was front row when the camera crew wanted to show it off during filming and when Rory Reid brought James McAvoy to look at the Croatian car later on in the programme – luckily for me that never made it to the show! Comedian Jarred Christmas welcomed us into the set and once we were all in, warmed us up with some stand up comedy that engaged the audience and got us ready for when the three presenters made their way on to set. We practiced our applauding and laughter, as well as whooping and cheering, before Matt LeBlanc, Rory Reid and Chris Harris made it to the set. Then it was a case of testing microphones before filming truly got underway. Take after take was done, and the three all followed their autocues until the on-site team were happy. This was a process that was repeated throughout the day, as well as reshuffling the audience and testing to cameras – not that it was a problem! As you would expect, slip ups were made by the trio, which of course they ridiculed each other over and one part of the show had to be filmed over half a dozen times as the car wouldn’t behave itself. Everything was entertaining, and although the day lasted for hours and left everyone feeling pretty tired, a break was offered mid way through filming and refreshments as well as biscuits were handed out to all audience members. Possibly the best part of the day was being able watch the episode and be amongst the first to see it. You get to watch it in its entirety, along with the presenters, and as many of you will agree, watching something with a large group of people is almost always enjoyable: whether that is in a grand stand at a Grand Prix weekend or a movie at your local cinema. In addition to the Top Gear show, filming for the sister show Extra Gear also took place later in the evening. This show, broadcast on the BBC iPlayer after the episode has aired on BBC Two, is limited to just 70 audience members and covers any additional content or deleted scenes from the main show. I managed to secure tickets and joined many audience members for an additional couple of hours whilst Extra Gear was recorded. 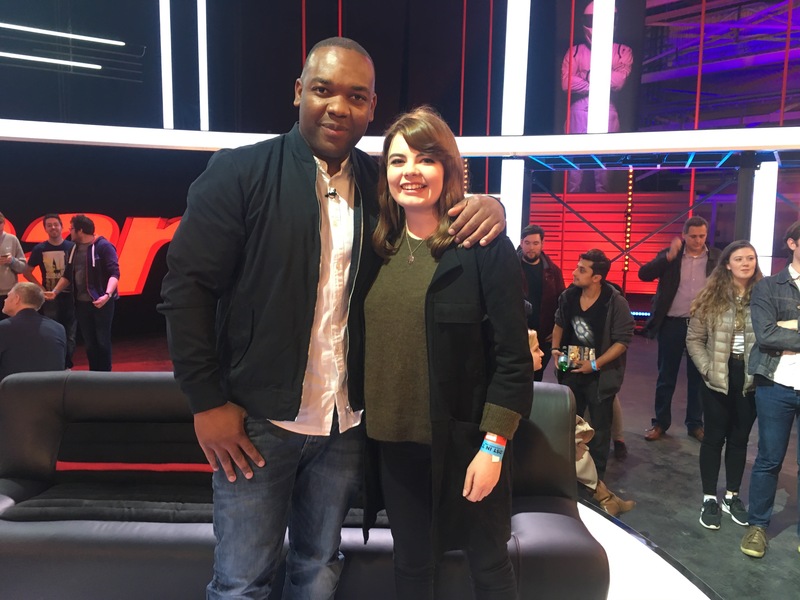 As well as new host George Lewis, Chris Harris and Rory Reid joined Lewis in the programme which also made for great entertainment. Between takes Harris and Reid would talk to us and share their incredible wealth of knowledge on cars, the engineering behind them and just general chit chat. In short, it was a fantastic day. To see how the programmes we all love and watch proved really interesting and being surrounded by passionate people made it even better. If you can yourself to a Top Gear filming day, do it.